Have you dreamt of tying the knot in coastal paradise? 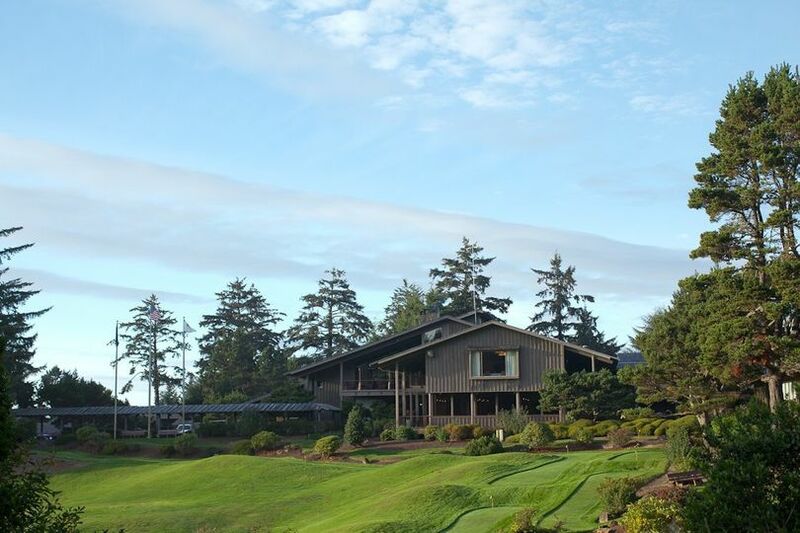 Salishan Resort is located on the romantic windswept coastline in Oregon's picturesque Gleneden Beach. Situated on 750 wooded acres along scenic Highway 101, the resort is blended into an idyllic forested setting. 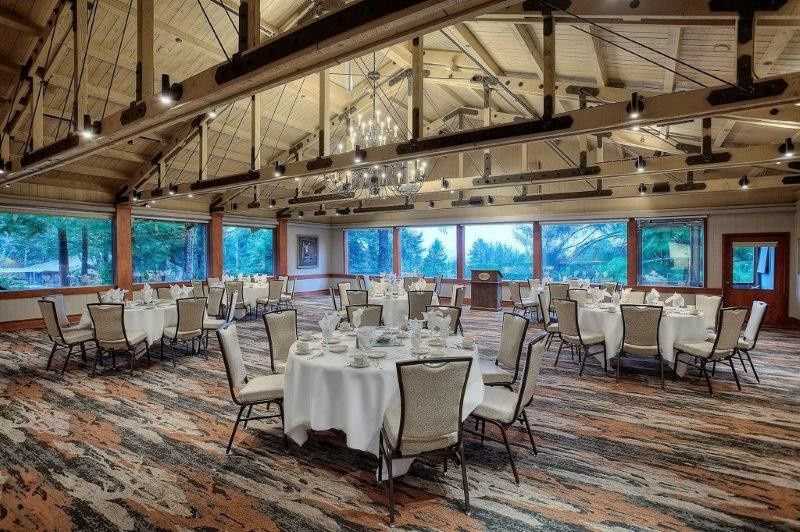 With its rustic elegance and casual sophistication, Salishan offers guests the ultimate in upscale, yet intimate surroundings. 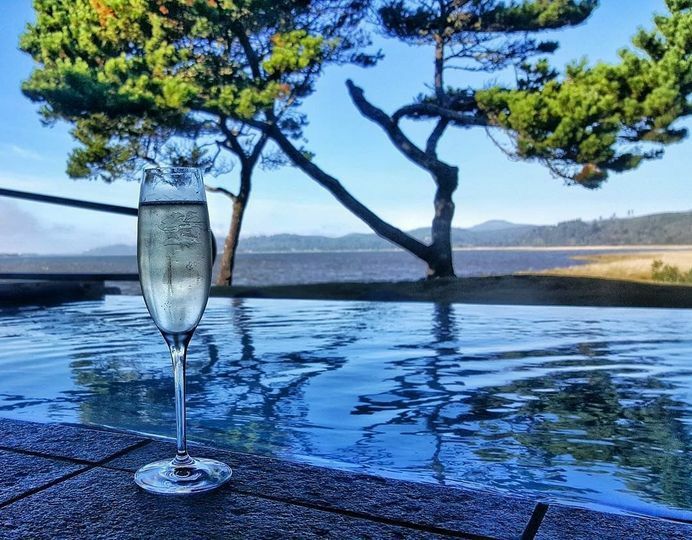 It would be a pleasure for all of us at Salishan to welcome you, your family and friends to the stunning Oregon coast. 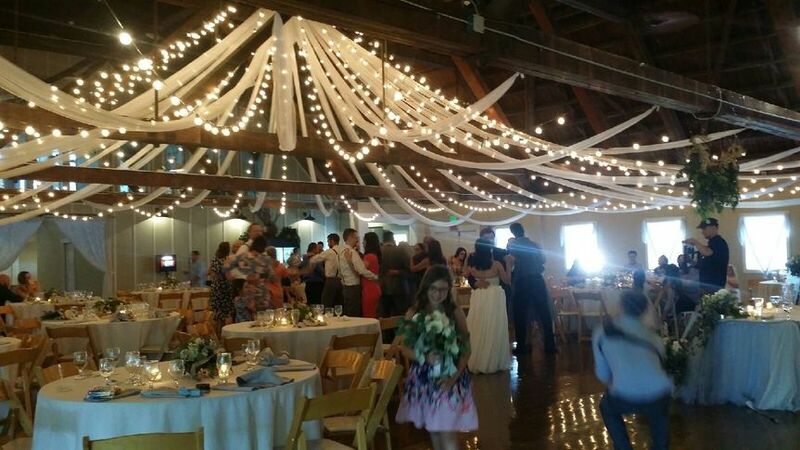 Salishan can accommodate up to 250 guests for a full dinner/dancing reception. 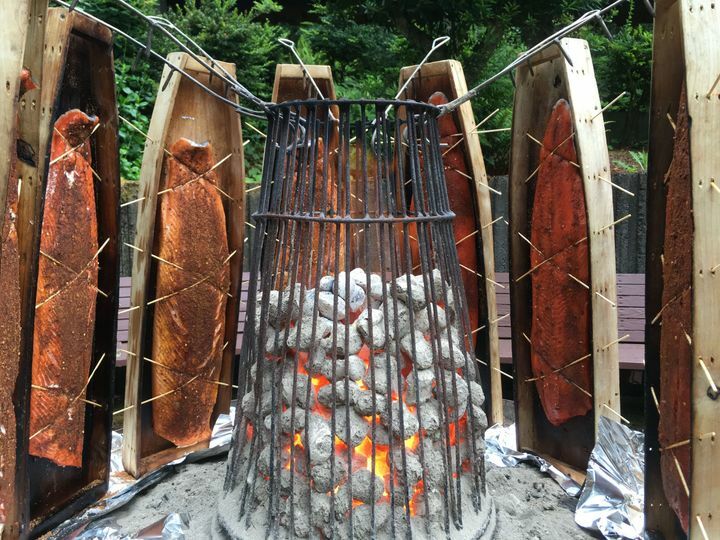 Whether you are looking for a gourmet dinner or a BBQ let Salishan's professional catering team guide you through the event planning process. Relax with some bubbles before or after the Big Day! Indulge in Traditional Northwestern Fare. 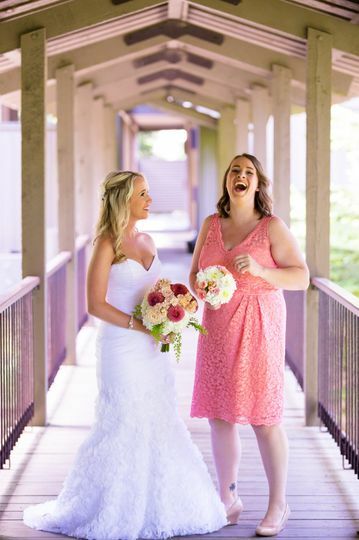 Have a Laugh with your ladies on the way to the aisle! 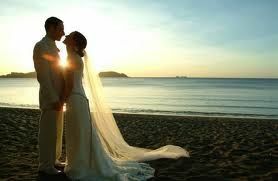 Take Time For A Few Intimate Moments of your Big Day. Go on a Bridal party Adventure before the Big Day! First Look on our gorgeous bridge! Unwind in one of our 205 spacious guest rooms. Dance the night away in Cedar Tree! Take the Scenic Route on your walk down the aisle! 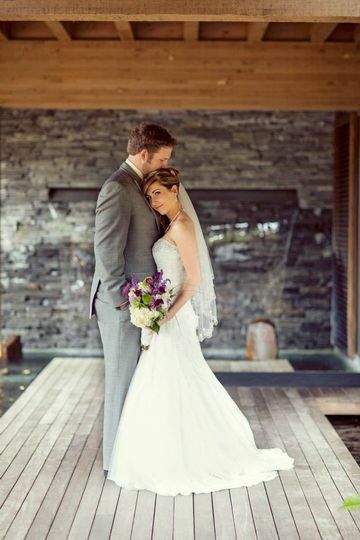 Salishan is a perfect location for a wedding. We had an intimate affair; a champagne reception in the wine cellar and a wedding dinner in the adjacent board room. And after dinner drinks on the private deck with a fire pit. The chef did an awesome job, everything was prepared perfectly. Jim Murphy, sales and catering, was so patient and provided every detail for me. I live in Colorado and Ken lives in Alaska so everything was done over the internet, sight un seen. 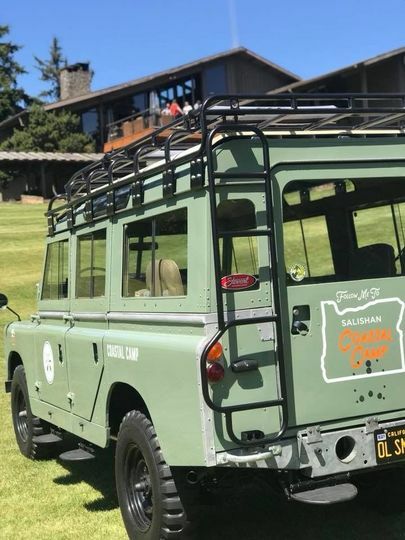 Salishan resort is rustic and elegant. The rooms are beautiful, our guests were impressed. Ken and his friends golfed, I went to the Spa two days with different friends. One thing that really impressed us was that so many employees knew we were the bride and groom and greeted us warmly. If you ask for something to be done, it will. The professionalism is outstanding. I would do it all over again! I was planning a destination wedding from Phoenix and knew I needed a venue/vendors that would be very responsive. These guys were THE BEST! Angus will help with anything and everything. He responds same day (as long as it's a work day) and always gives detailed answers and explanations. He will also help in any way. I ordered my flowers from costco and he brought me garden shears and set me all up to be able to trim them myself. The staff was extremely friendly and our day went off without a hitch. Thank you! Thank you Carlee! You and your family were an absolute delight to work with! 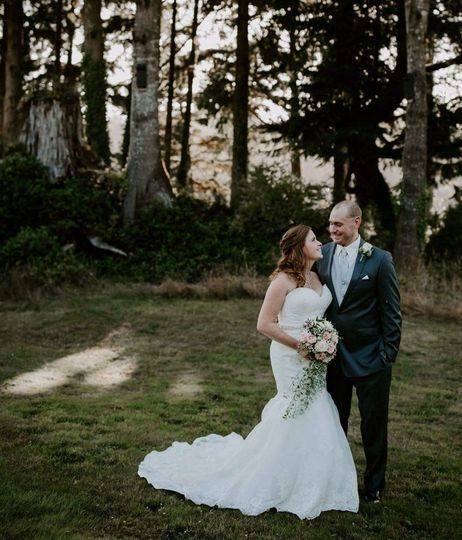 I am so glad you chose Salishan for your wedding venue... and I wish you both many, many years of happiness to come! Hopefully we will see you again sometime...maybe an anniversary trip up here in the future! A great place to do your special event at!